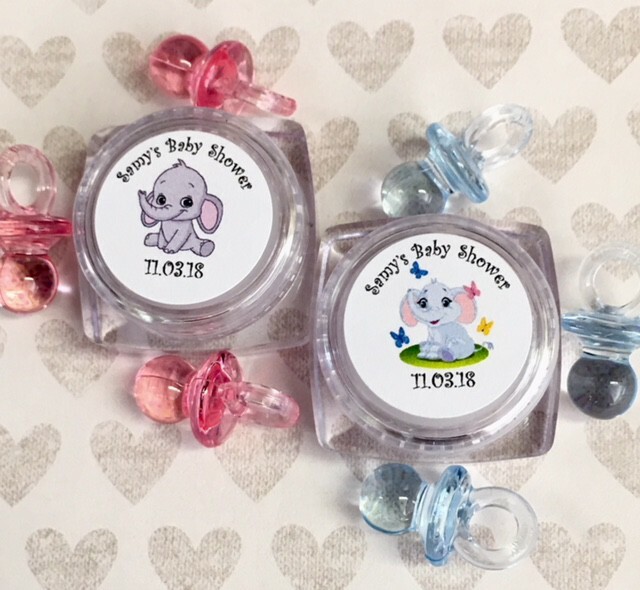 Having a Little Peanut Baby Elephant baby shower theme? 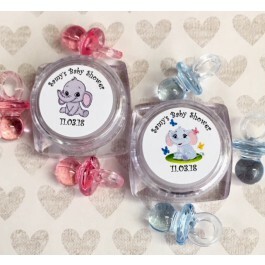 Show your guests your appreciation for their attendance with our Personalized Baby Elephant themed lip balms. Each 1.2" favor features a round container with luscious vanilla flavored lip balm inside, topped with a screw-on lid.